Docking Assist will create a centralised, cost-effective, real-time, accurate vessel location and monitoring system, providing the necessary centimetre positioning/speed accuracy. This system will provide efficient and safe manoeuvring within the entire navigation harbour zone enhancing vessel trajectory, and providing constant monitoring for moored/docked vessels. The harbour will be equipped with a differential GNSS Base Station, and a Wireless Technology offering a range of several kilometres, in order to send the DGPS corrections data to the vessels, and receive real-time position, speed and heading data from them. 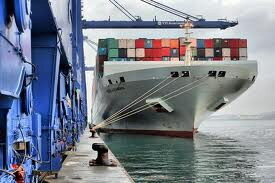 A portable unit will be equipped on the ship side composed mainly of a DGPS receiver and a Wireless node to receive the indications from the harbour. Time reduction in transit, enhancing port traffic management and throughput with minimum investment. Reduction in operating expenses, CO2 emissions and fuel usage. Less environmental impact of shipping. This entry was posted in news and tagged eu, Improved maritime traffic, spanish engineers, wireless system. Bookmark the permalink.